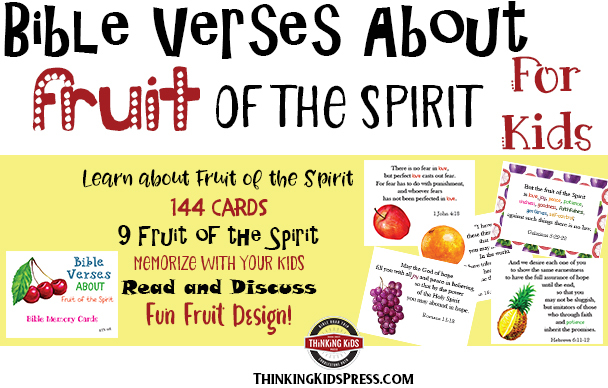 Teach your kids about the fruit of the Spirit with 144 themed Bible memory verse cards! They will learn what the Lord has to say about 9 important fruit he grows in those who love and follow Him. 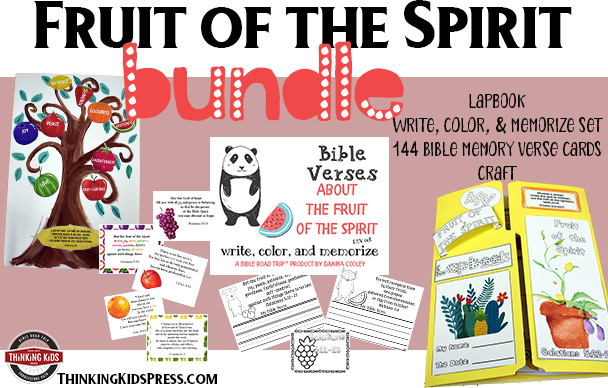 Your Fruit of the Spirit Kids' Craft coordinates well with additional Fruit of the Spirit hands-on learning. You will find 16 cards on each fruit of the Spirit. One of the things we teach our children is that the fruit of the Spirit grow in our lives when we are indwelled with the Holy Spirit, when we have repented of our sins and we follow Christ. Some of the Bible memory verses are longer passages that are split between two cards, and some are short and sweet. Some verses don’t actually name the fruit, but they do give a verse that really personifies the character trait. These cards are put together to aid you in your family discipleship. Be creative about how you use them in your family as you teach your kids the word of God.